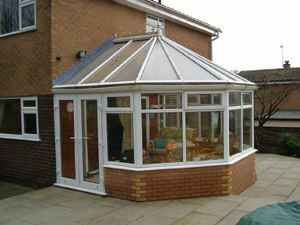 Conservatories and window renewals in Bolton and Wigan from A.D.C. House Styles Ltd.
A.D.C. 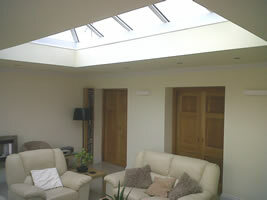 House Styles provide high quality UPVC Windows, Conservatories and Orangeries. Wood grain on white etc. 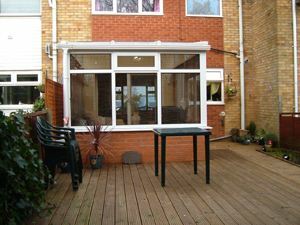 Installing a conservatory to your house can make a huge difference on the way you spend your summers. With Timber decking or stone flagged patios it can make for great barbecues and summer parties. 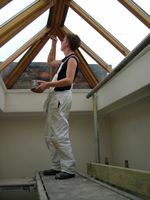 Conservatories also add significant value to the cost of your home and can be supplied and fitted by our tradesmen at reasonable prices. Samples of our UPVC products can be shown on request. We have a wide selection of conservatory design to suit most budgets, please contact us for a no obligation consultation.